Learn how to Ballroom dance with our step by step Latin and Ballroom dance lessons online. Our videos will break everything to make sure you know your steps, timing and technique. Below you will find free Basic Ballroom dance steps for beginners for Cha Cha, Rumba, Salsa, Swing, Tango, Foxtrot, Waltz and Merengue. In each mini course you will learn the most essential basic steps with HD videos. 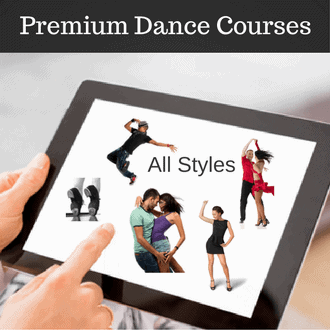 Get introduced to social dance steps in this free mini course. 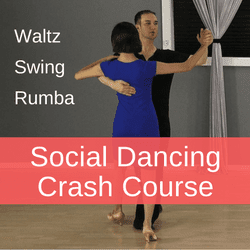 Learn how to social dance with 3 Ballroom dances: Rumba basic, Swing basic and Waltz basic. 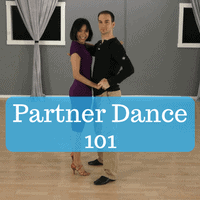 These dances are perfect for partner dancing at weddings and parties. Perfect for beginners looking to get started. The slow Waltz is one of the most classical Ballroom dances - dating back to 16th century when they used to hold "Balls". The Waltz's main characteristic is the rise and fall used through out all the steps. 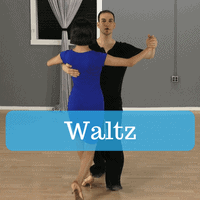 Our videos will teach you the most basic Waltz steps with ease. This cheeky dance is perfect for anyone starting out. This Ballroom dance has a lot of quick and sharp foot and leg movements. 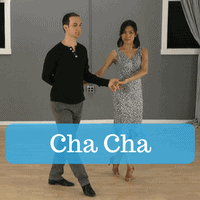 It is characterized by a triple step which is danced on the "Cha Cha 1" counts. In this video course you will learn 3 beginner dance steps that you will be able to use right away. The East coast Swing combines rocks steps and triple steps to create a very fun and energetic dance. This dance is influenced by rock n roll and Lindy hop styles - which give it tons of variations including kicks, flicks and turns. Have some fun with the swing now! The Rumba combines lots of body, hip and arm movements to make this Cuban dance very expressive. In this mini course you will learn the basic steps, box step and slow underarm turn. This dance requires lots of control because of its rhythm - Slow, Quick, Quick. Learn the basic steps with our videos in this beginner course. This popular Latin dance is perfect for those of you who like to fast rhythms and lots of turns and spins. This dance is a great for social dancing with its emphasize on lead and follow - where the man initiates movements and the lady follows. After our mini course you'll be able to use what you learned in Latin clubs. 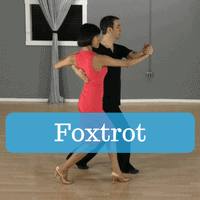 One of the first Ballroom dances that people usually learn is the Foxtrot. It is a very elegant dance that travels around the room. Both men and women push off the standing leg in order to move from foot to foot. This dance is one of the best for pure lead and follow. This Ballroom dance is great for passionate dancers who like to express the Tango music. This is a traveling Ballroom dance that combines a lot of shapes and rotational movements. In our mini course you will learn 3 beginner moves to get you started. Enjoy. Here is a Latin dance that is considered to be the easiest of all! The saying goes: "If you can walk, you can Merengue". The basic steps all consist of small weight changes that could be danced on the spot, or across the floor. There are lots of intricate turns and arm twists too.